Meet the The Router Room staff! 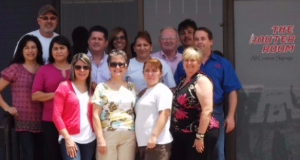 Actually, we're more like a family with a friendly, professional view towards our customers. We're easy to do business with and you'll become a family member before you know it. More company info, updated employee photos and fun facts about the staff coming soon! The Router Room is expanding again! We're excited about our new manufacturing facility, currently under renovation. It's larger, centrally located and provides quick and easy access for shipping and servicing all our customers! We can not wait to show everyone! Meanwhile, here is a brief overview of who we are. We not only provide a huge variety of products, but SERVICES too! 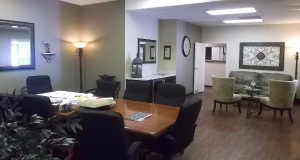 Please inquire with any member of our Sales Team for more information and assistance. 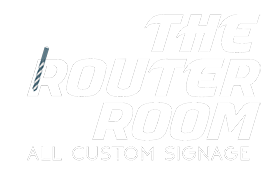 The Router Room is a proven leader in the sign industry since 2004; Providing a variety of "custom" sign products and sign outsourcing services. 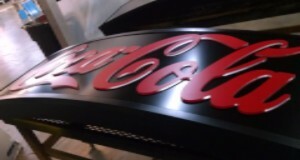 We manufacture "All" types of illuminated and non-illuminated signage, utilizing the very latest construction materials and technology advancements in routing and laser equipment. Of course, "All" sign opportunities are important to us! However, a few specialty areas clearly placing us ahead of the crowd include our strong abilities to manufacture "unique" products and provide complete sign packages including Wayfinding and ADA signage! We look forward to providing additional information about our wide range of products, services and extraordinary abilities. We're ready to assist with your most challenging projects!